An exquisitely well preserved, rustic style, detached country house bursting with traditional rustic features, within its own garden plot, and within easy access of two villages. 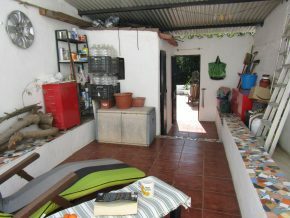 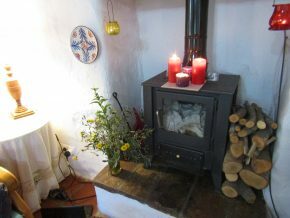 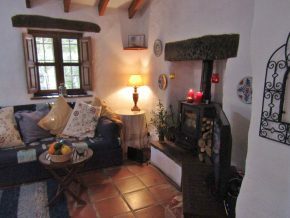 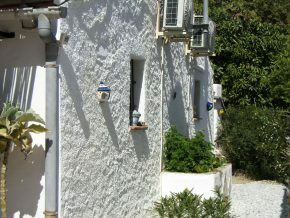 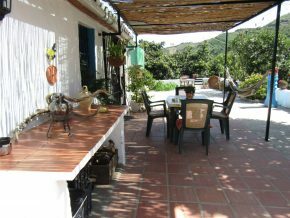 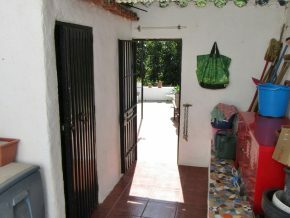 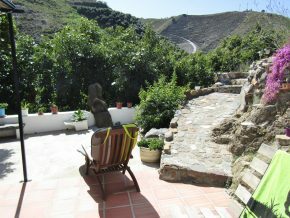 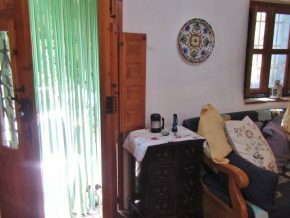 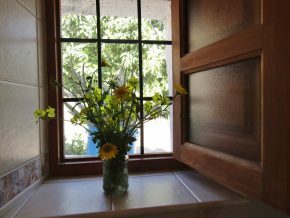 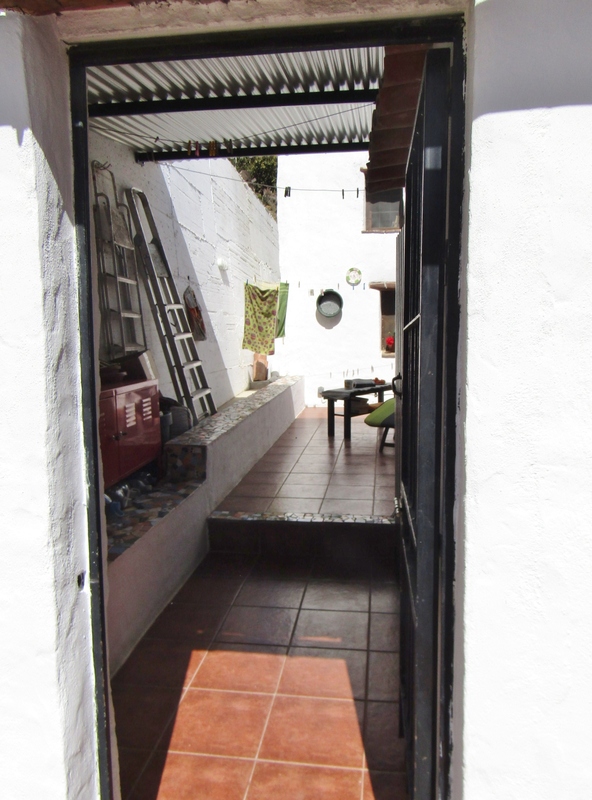 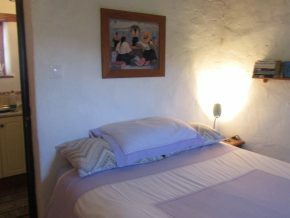 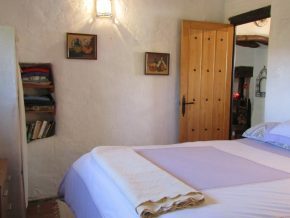 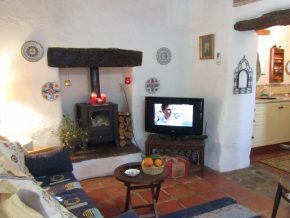 The present owners call the house Casa El Abrazo, ‘The Hug’, as it feels so cosy, it is as if the house is hugging you. 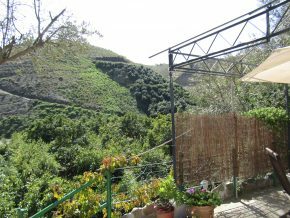 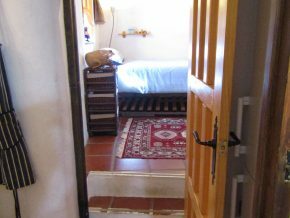 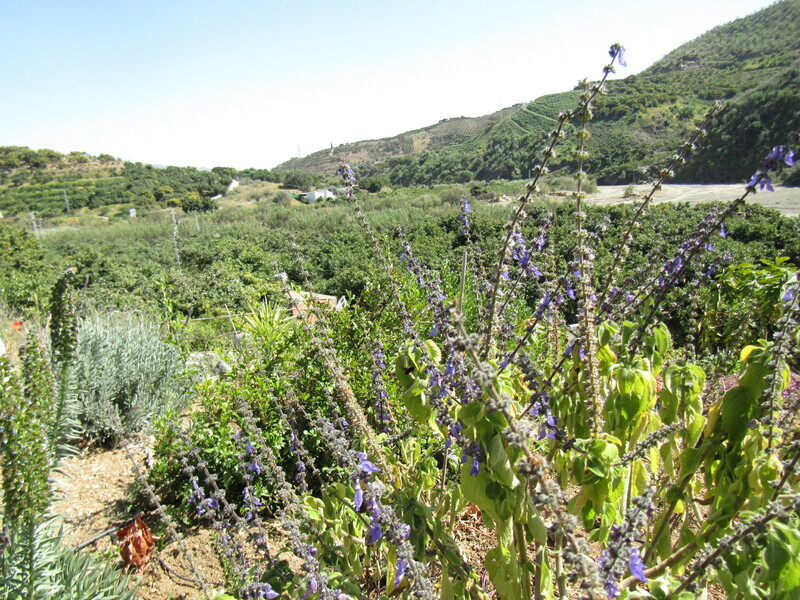 This beautiful country house is located close to the river, along a short track (no hills), and is completely surrounded by avocado and mango orchards owned by local farmers, in an idyllic, peaceful setting. 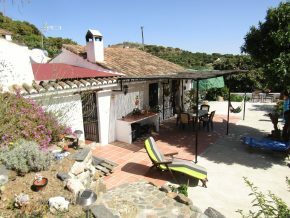 You don’t need ‘rose-tinted’ glasses to view this property, it is truly perfect! 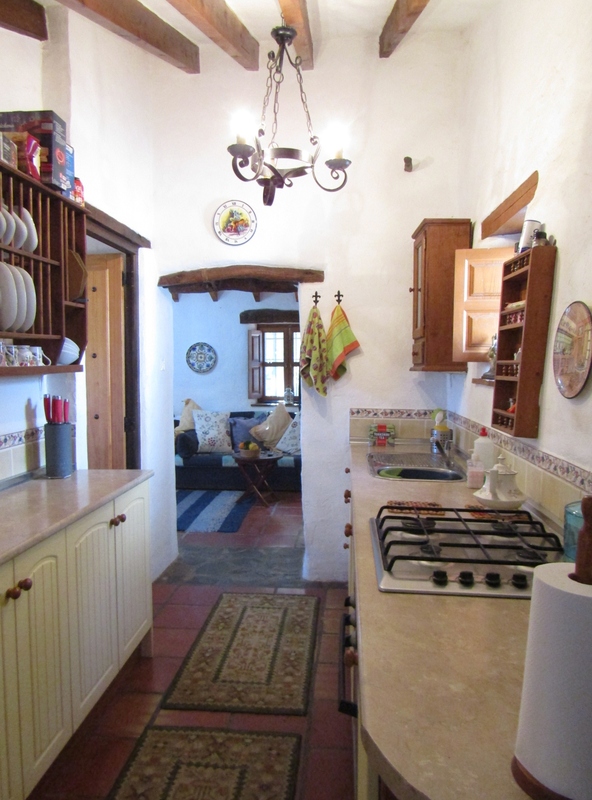 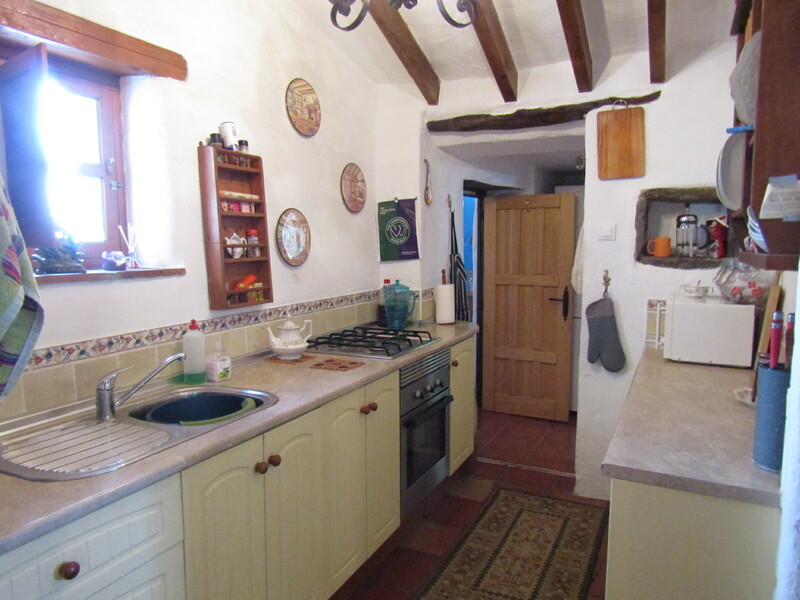 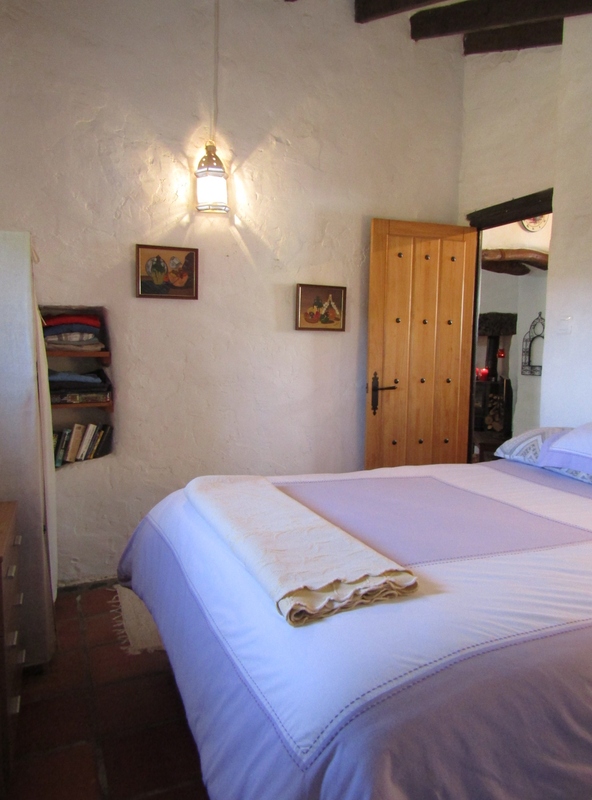 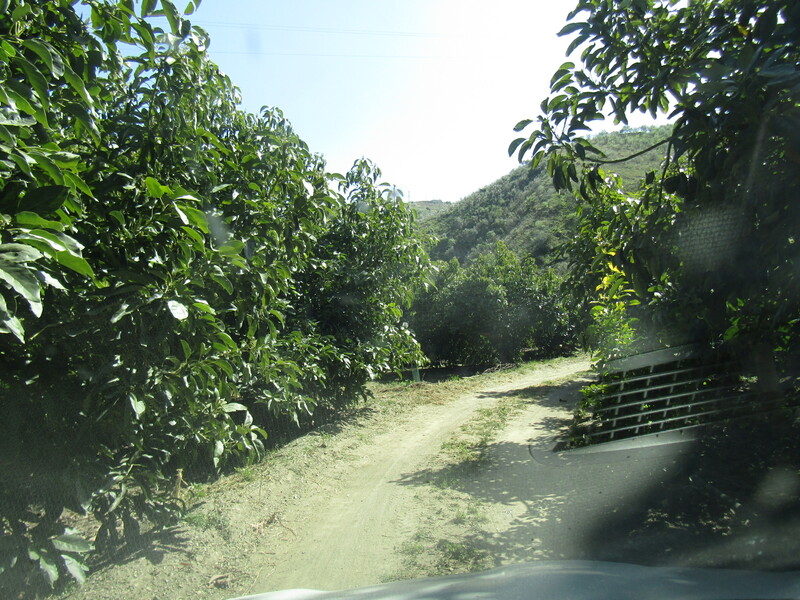 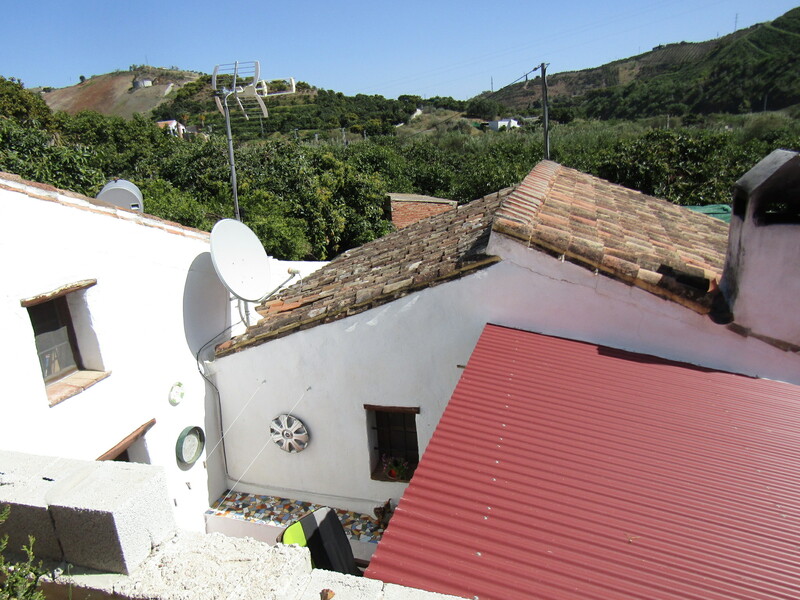 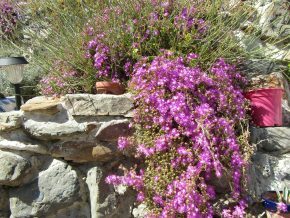 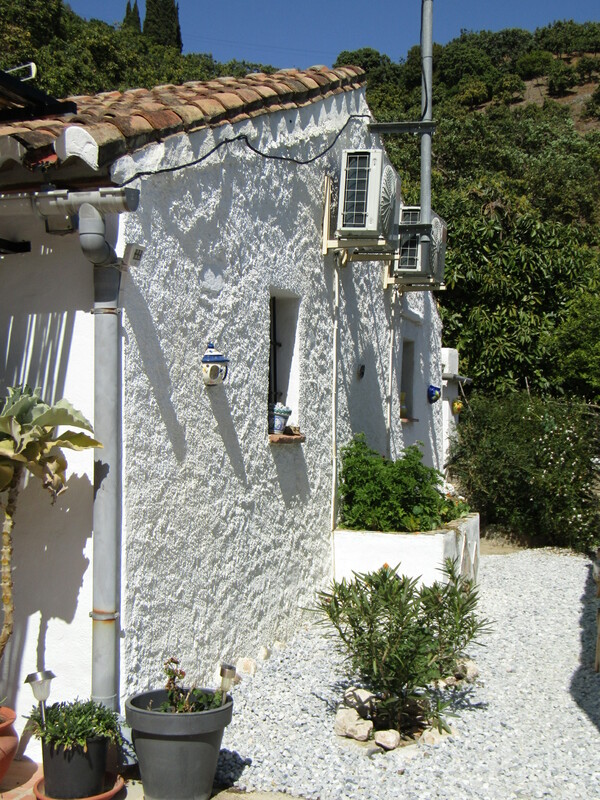 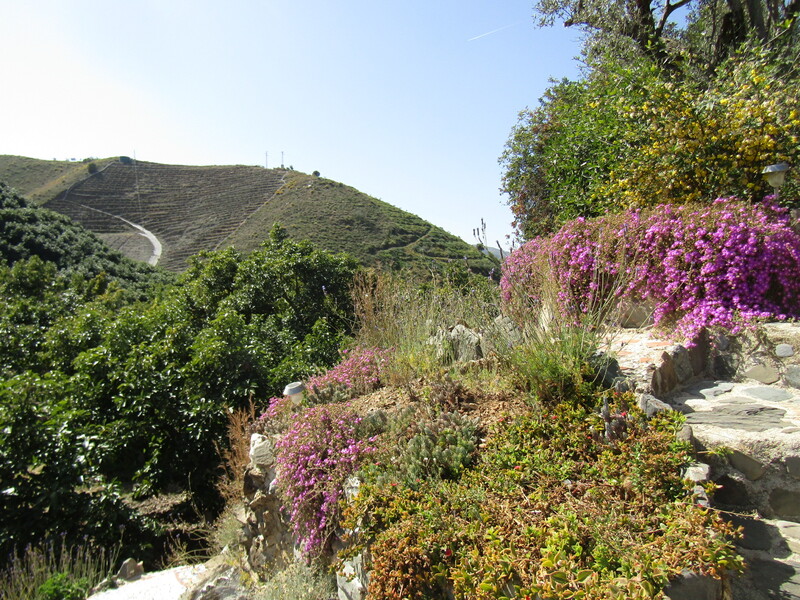 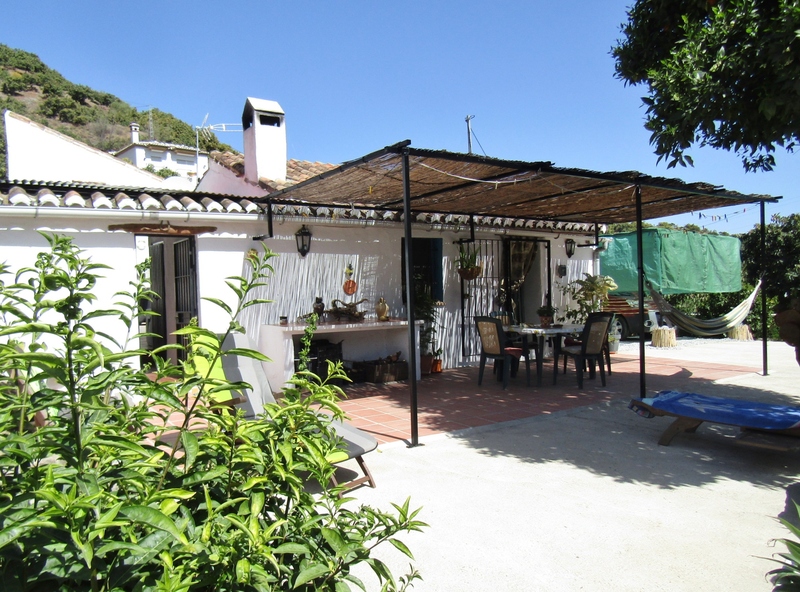 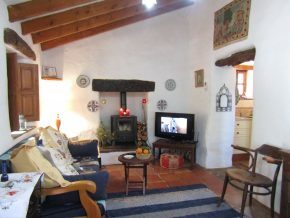 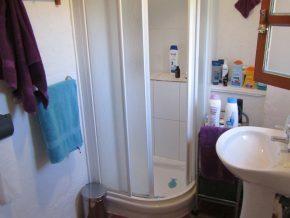 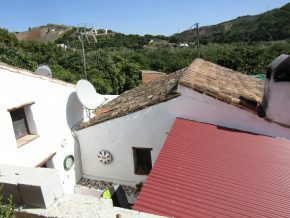 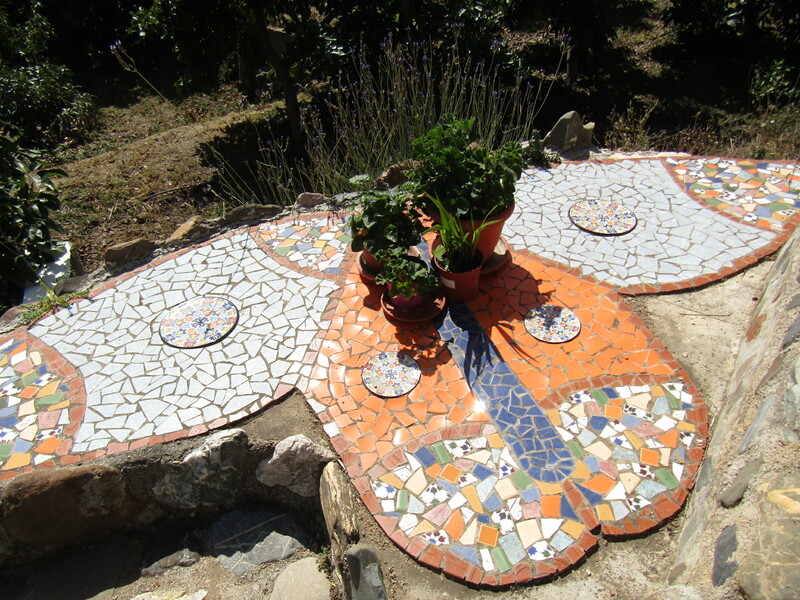 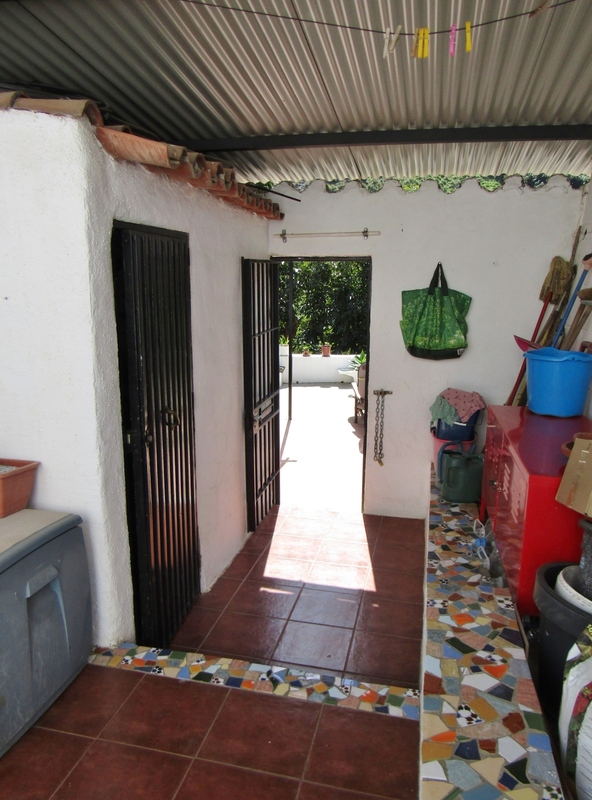 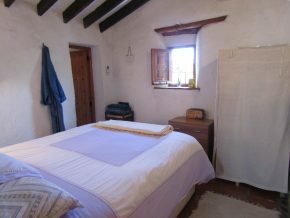 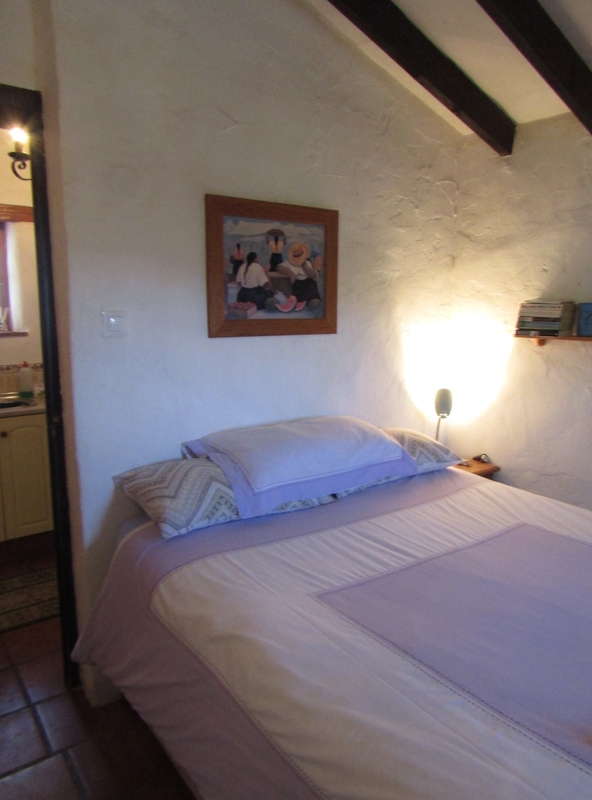 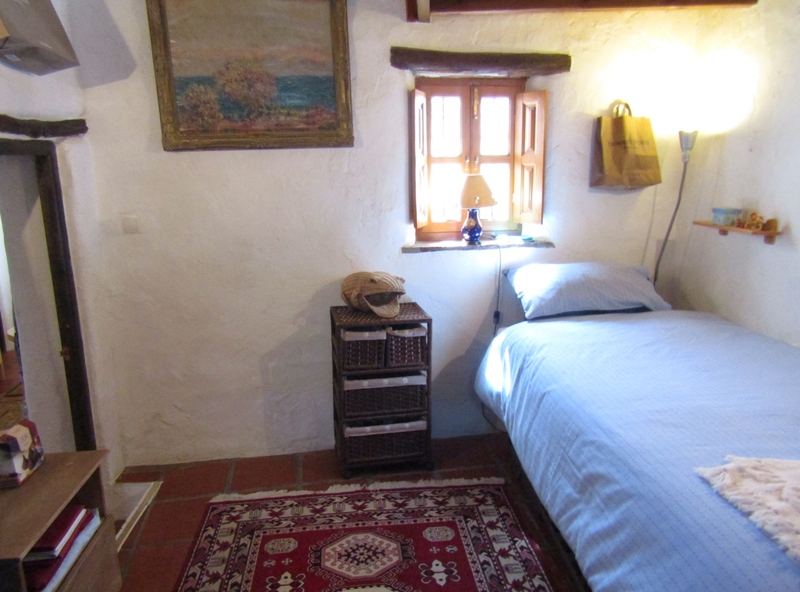 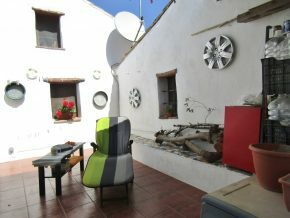 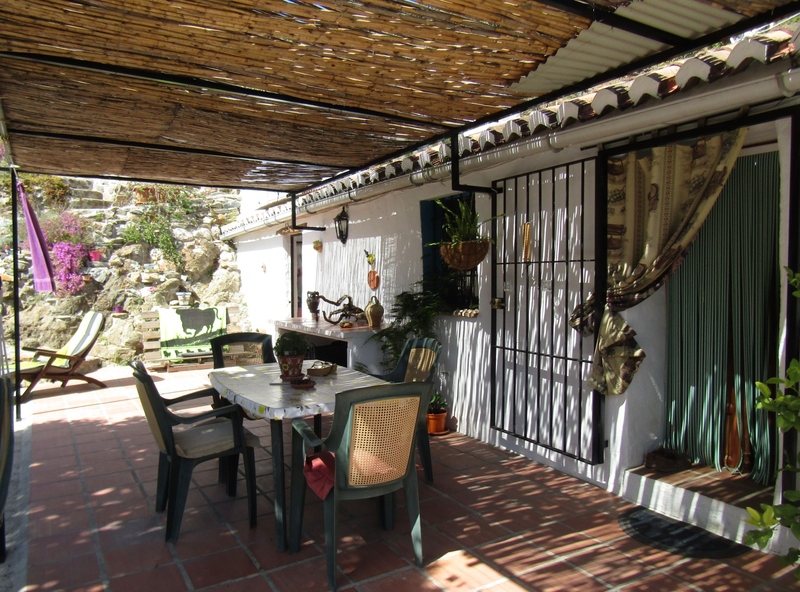 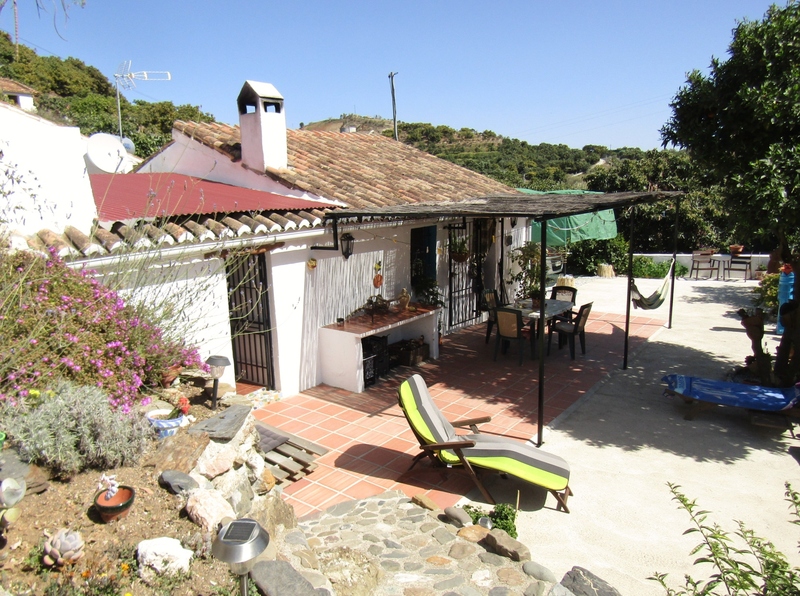 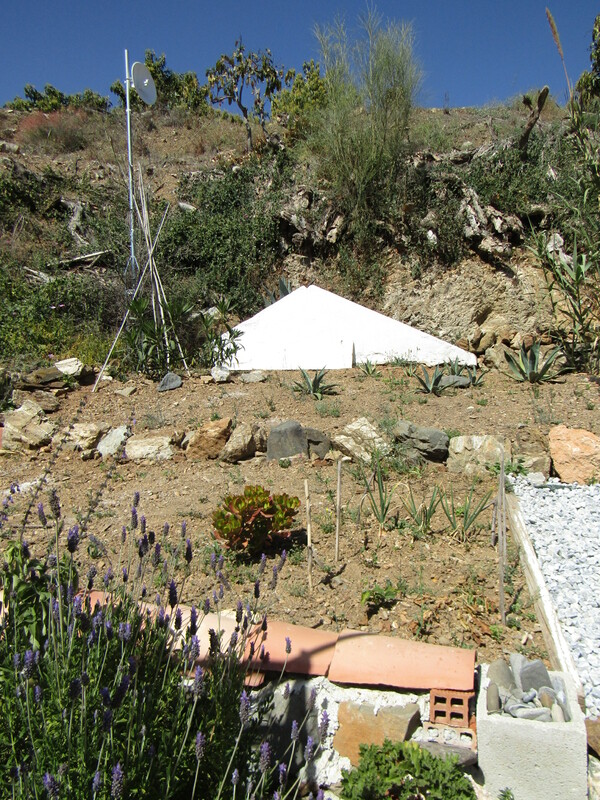 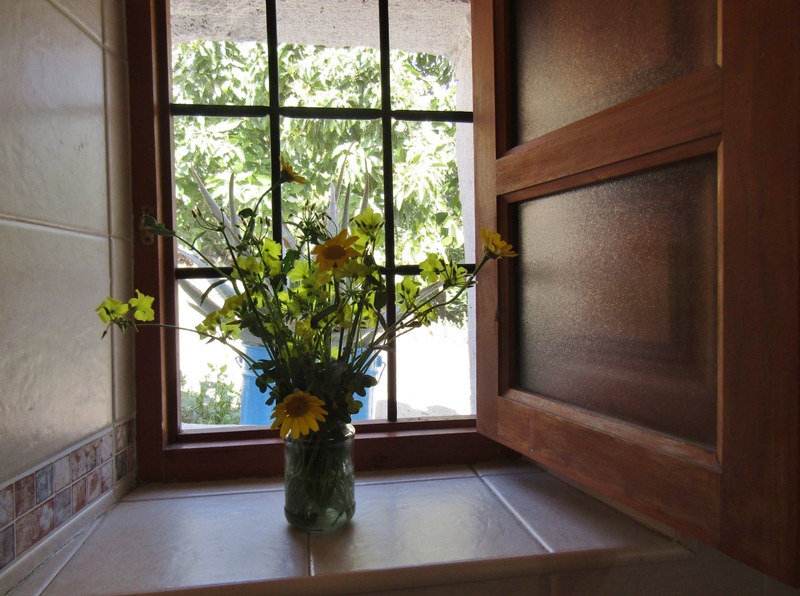 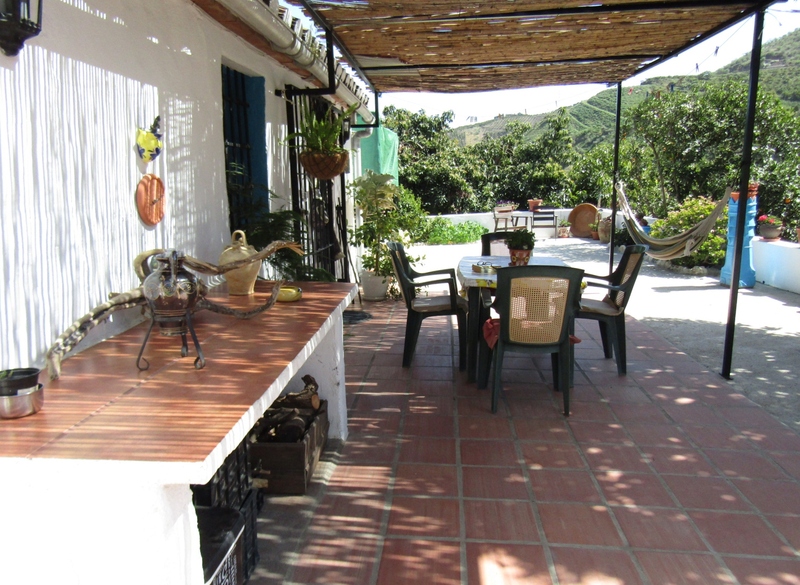 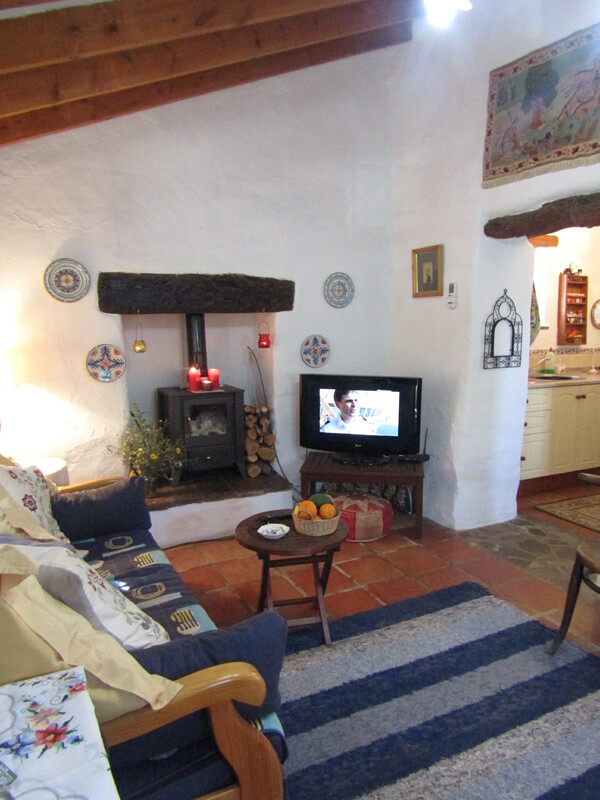 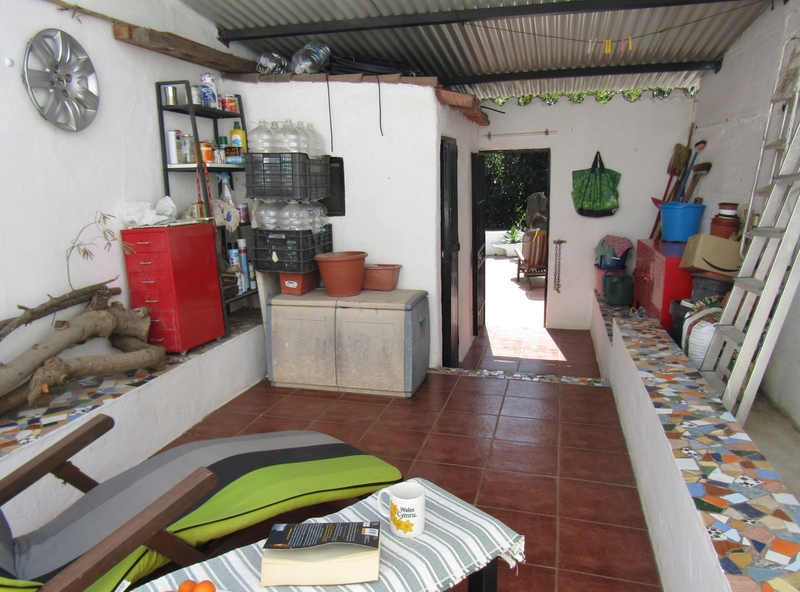 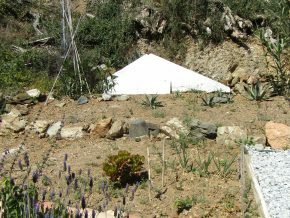 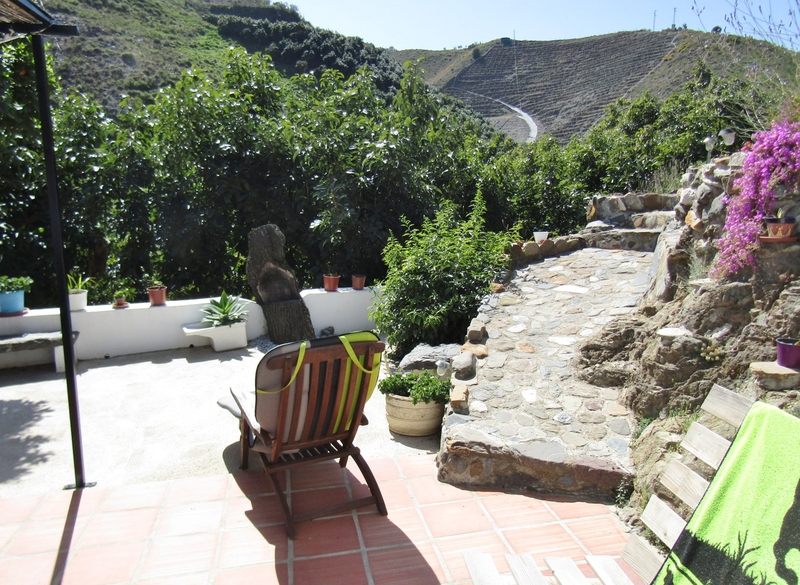 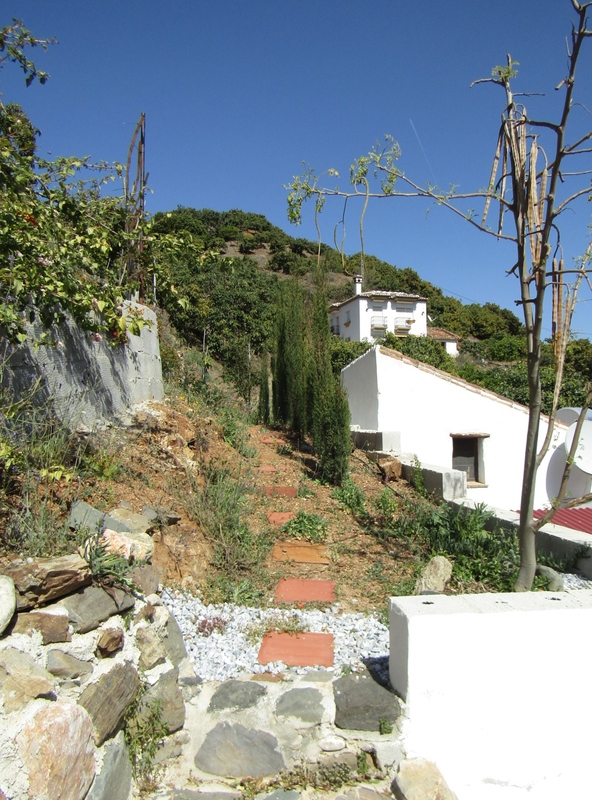 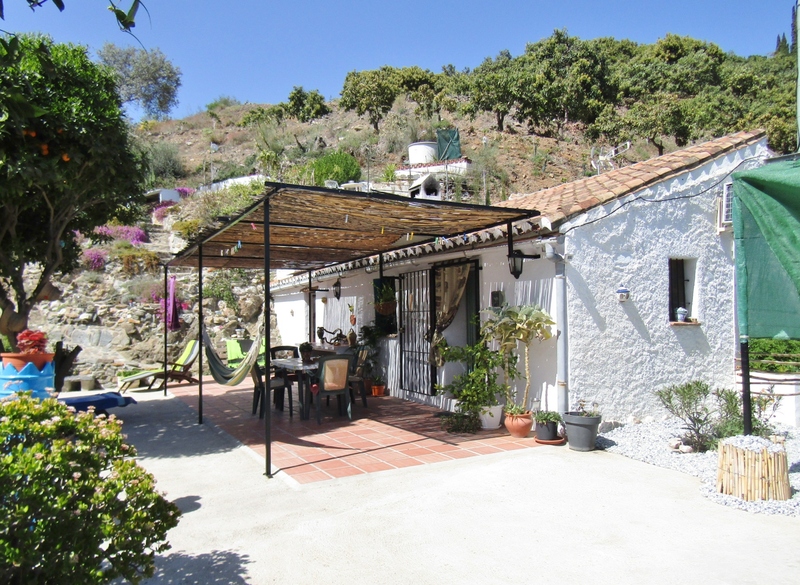 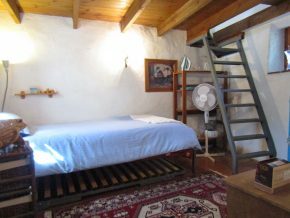 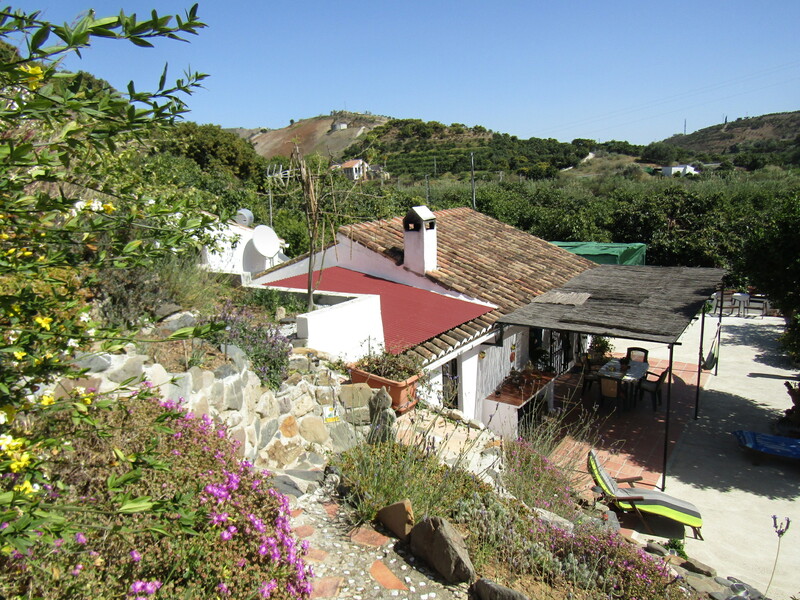 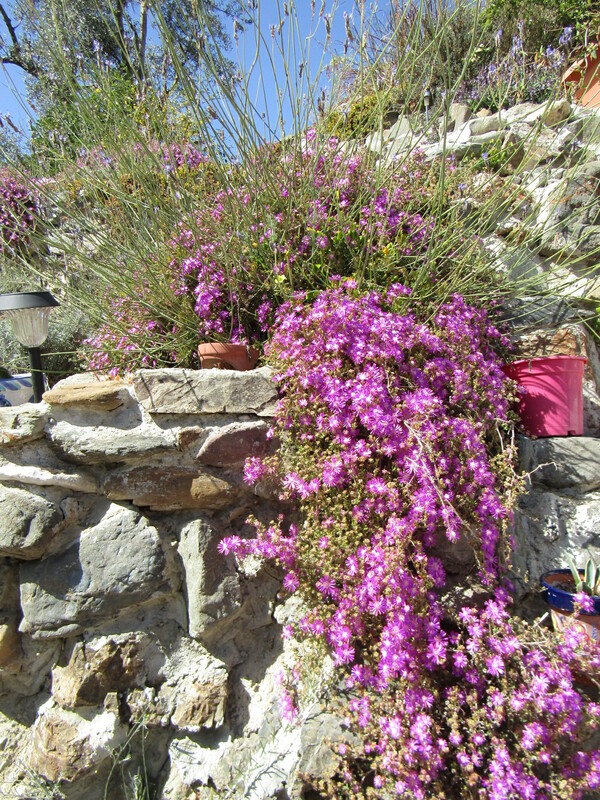 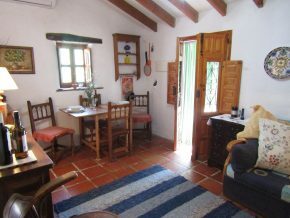 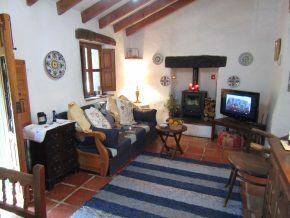 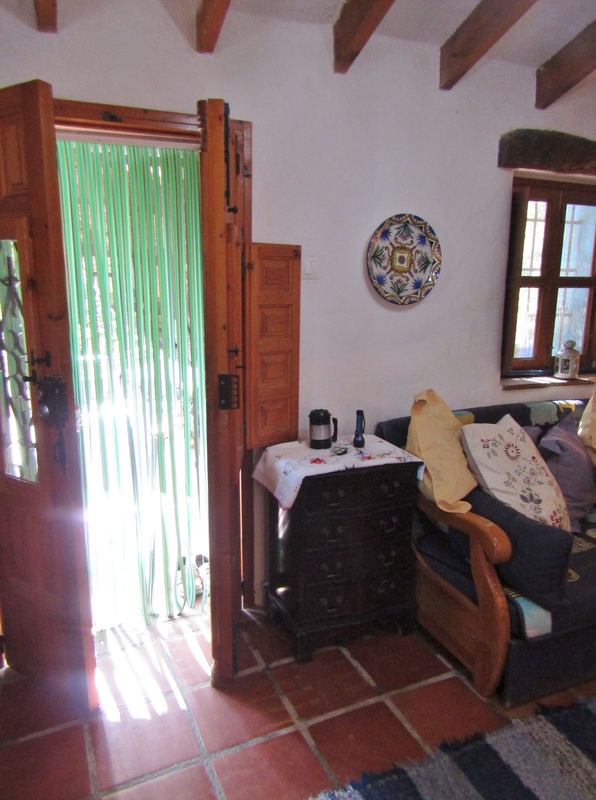 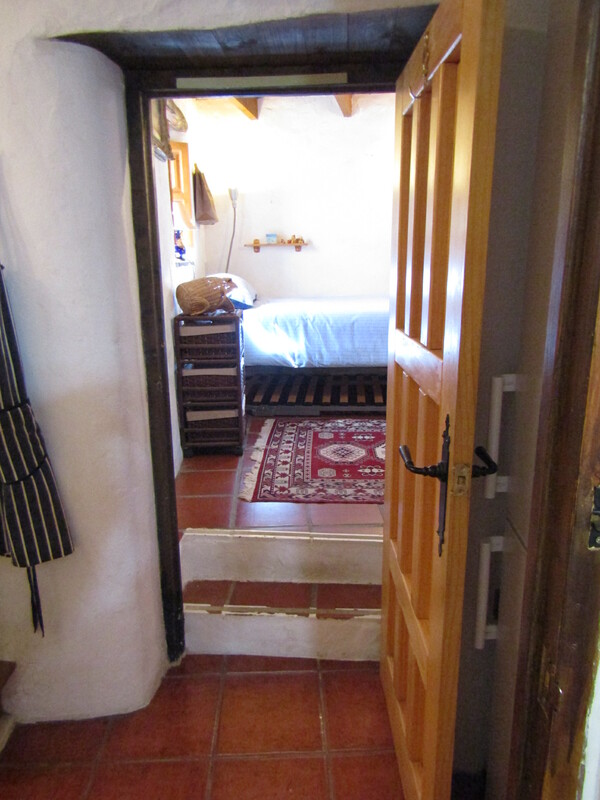 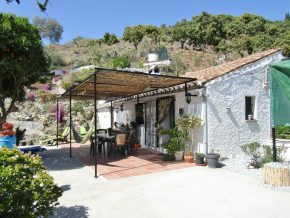 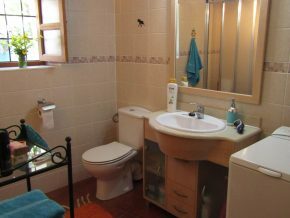 The house is about a 15 minute walk to Benamargosa village and minutes from a nearby hamlet. 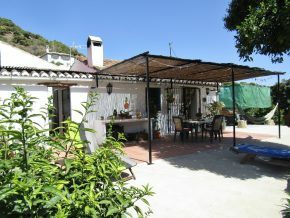 Within 25 minutes of the coast at Torre del Mar. 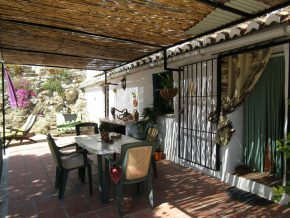 A cane covered terrace, ideal for outside living, and very private, leads into the beautiful living room, (5 x 3m), with beams on the ceiling, rustic floors, door and windows, and a log burner. 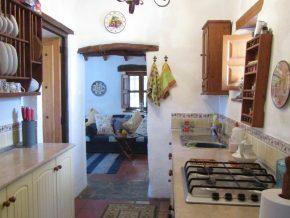 From here, an opening in the amazingly thick walls leads into a fully fitted kitchen (3 x 1.7m) with window over the courtyard patio. 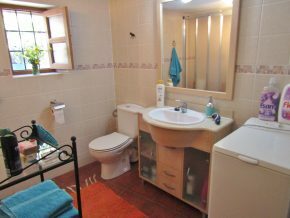 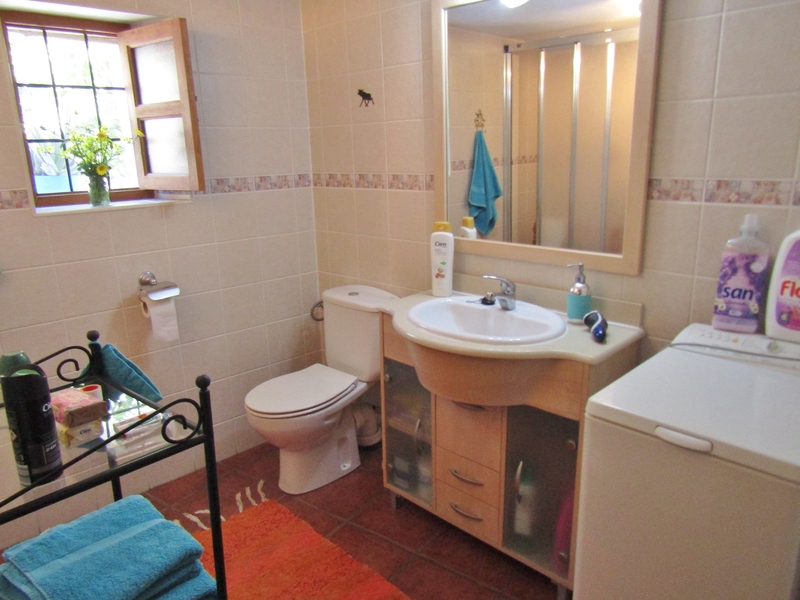 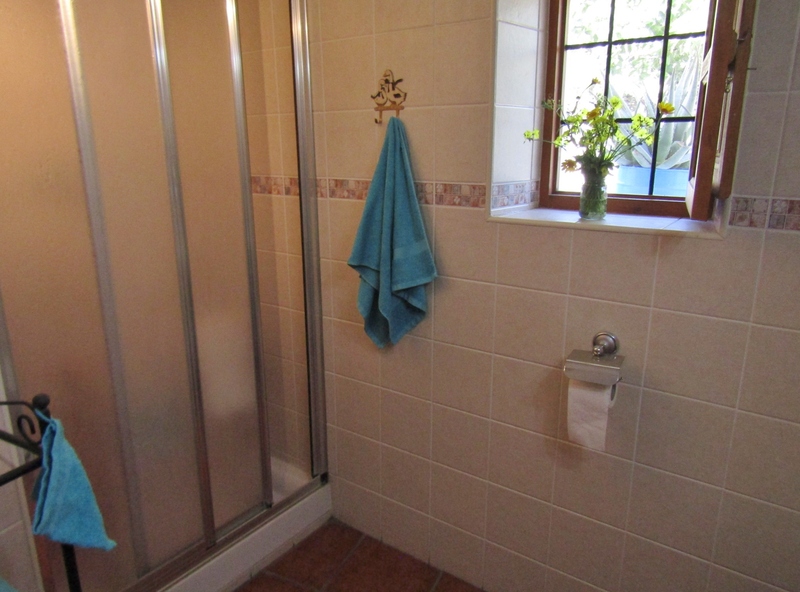 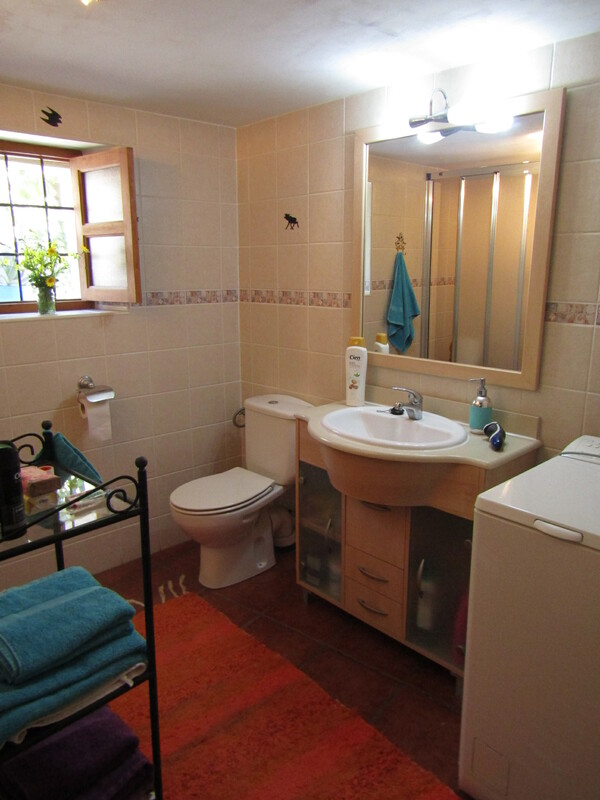 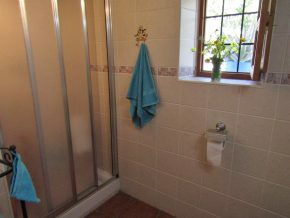 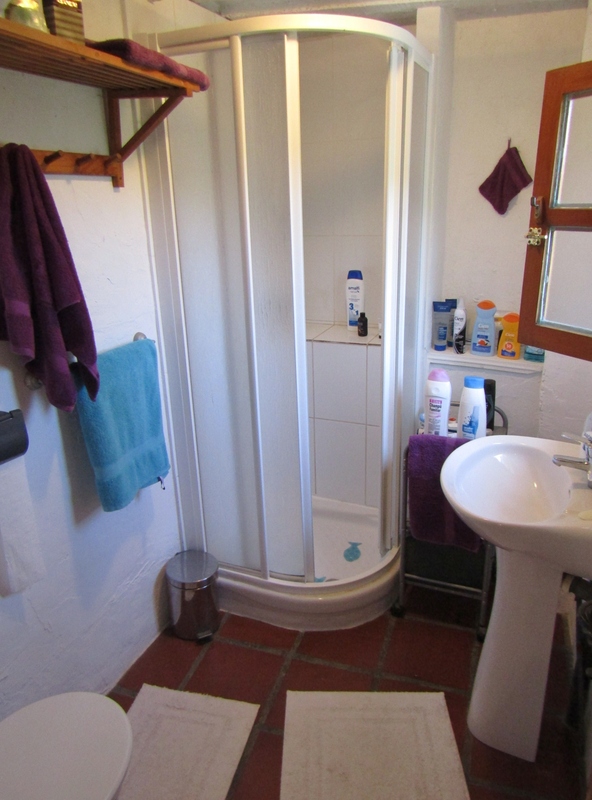 To the right, is Bedroom 1 (3 x 3m) with ensuite bathroom (2 x 1.25m) beyond, all immaculate and very pretty. 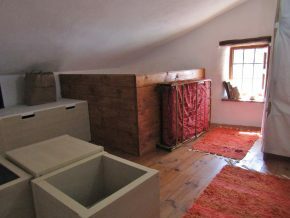 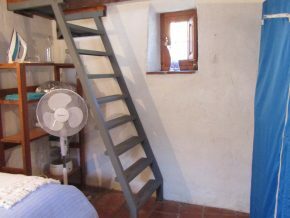 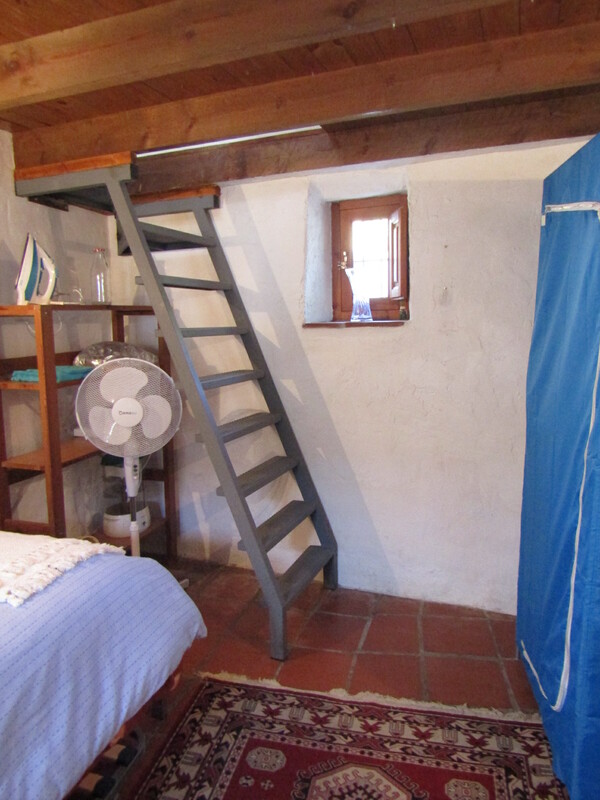 Past the kitchen is Bedroom 2 to the left (3 x 2.5m) with a window over the patio, and wooden ladder steps up to an excellent mezannine level which is equally ideal for storage as it is for adding an extra single bed and having a third sleeping area. 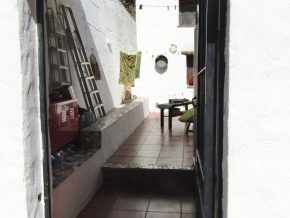 Outside, next to the terrace is a door into the courtyard patio, with seating area built in and a small storage/equipment room. 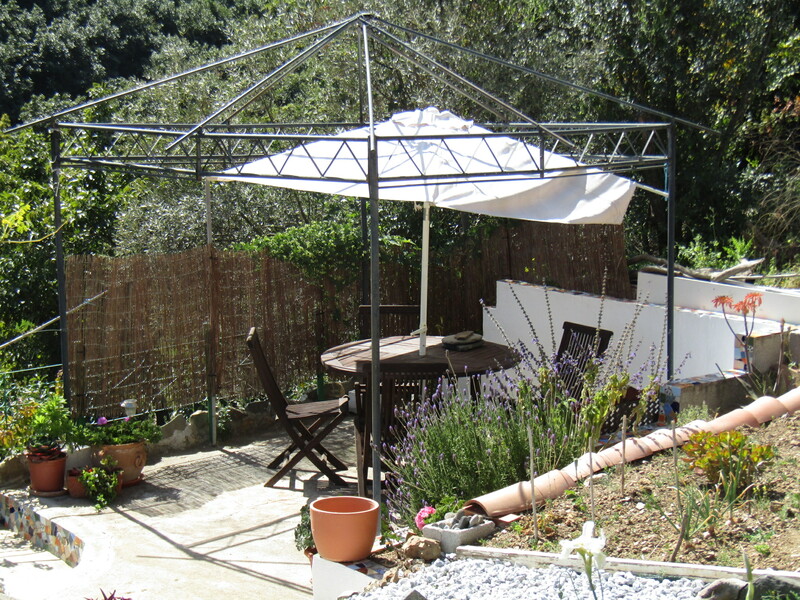 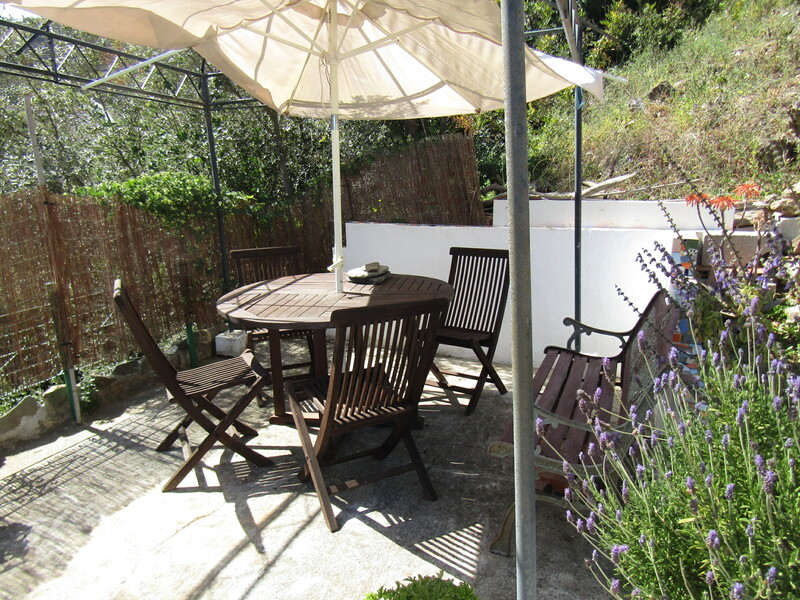 This patio is around 4 x 2.5m and would also be ideal for a jacuzzi. 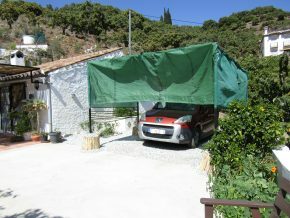 A parking area for one car (two if you move one car further up) with a covered car port, leads to the open garden area, the covered terrace, the house and the courtyard patio. 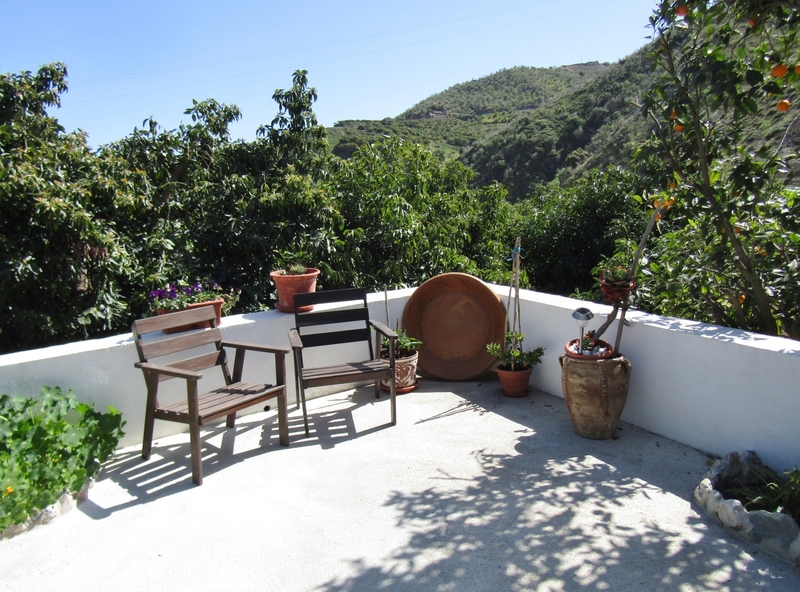 There is space to sit out, and enjoy the space, completely surrounded by trees. 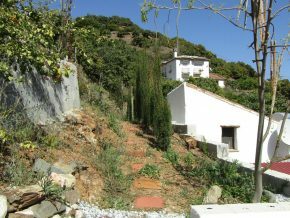 From the lower garden, pretty steps lead up to an upper garden area, passing by pretty mosaics in the stonework and little paths leading off along narrow banks, planted with flowering plants and trees. 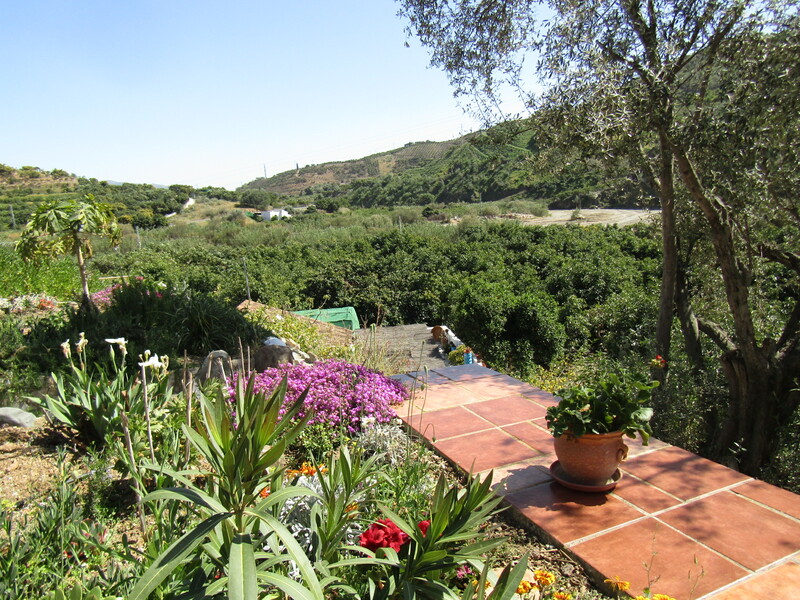 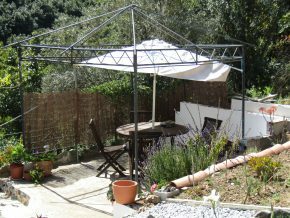 The upper garden has a second outside seating and dining area, with lovely views across the valley and hills, and there is plenty of space here to create further gardens or a vegetable plot, or mini fruit tree orchard. 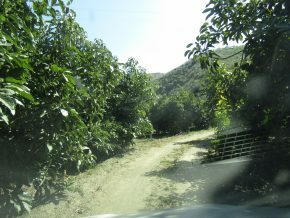 There are still the remains of the old raisin drying beds in this area. 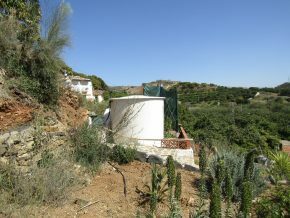 There is also plenty of space here to have an above ground pool or swim spa. A delightful and utterly charming property, being offered for sale at an excellent price.